The LA Affie is the famed LA Affie clone. The clone was taken and reversed to itself to make an S1 in feminized only. She is a larger yielding afghani with a very beautiful structure and look. 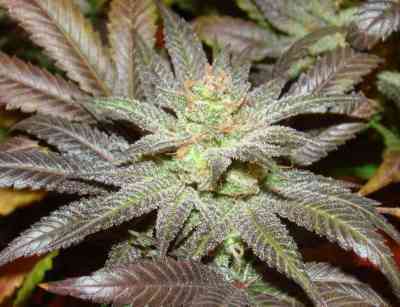 She turns purple, great color smell and flavor are more of a true afghani, hashy with a hint of fruit, more of a currant. Yield is not very large to do it’s Indica nature, flower time is fast, 100% Indica, 55-60 days max.